Protective styles are a great way to protect the natural hair from excessive use of heat appliances. In order for these protective styles to help with the growing process, they must be properly cared for. You can't buy a Mercedes & expect it to stay looking & running good without proper maintenance; therefore, why expect to get a protective style & not maintain it. Protective styles are low maintenance styles, not no maintenance styles. The way the hair is installed makes a big difference. Weave can be installed through sewins, glue in, or braids. Sewin styles are much healthier than glue in styles. When getting braids, It is best to get some that are not to small. Sometimes getting the braids to small, like micros, seem to leave edges thin after taken out. It may be because people tend to leave them in to long. Try larger braids; such as, cornrows, box braids, goddess braids or a sewin. 1-Make sure hair is conditioned good before installing hair extensions. 2-Protect hair while wearing extension by shampooing & applying a conditioner. 3-Make sure that the hair stays hydrated by using an oil sheen or braid spray, which ever works best for your type of hair. Neglecting this can cause the hair under the braid or weave to become dry & brittle; therefore causing breakage . 4-Don't wear small braids longer than 2-3 months. 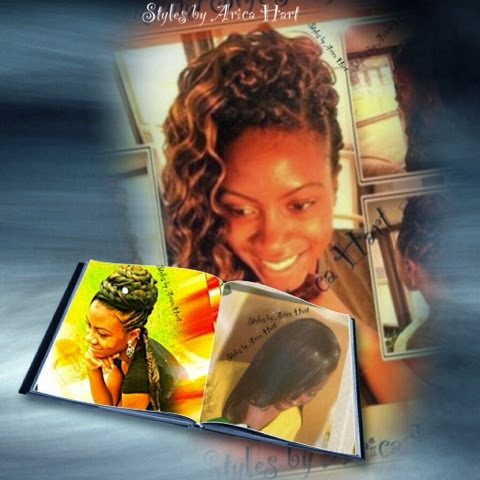 This Video is of a stuffed twist protective hair style. She can Rock this style in any setting; meanwhile, looking fabulous & protecting her beautiful tresses. She ready, she ready, she is READY to set the town on fire with this flaming hot protective hair style. 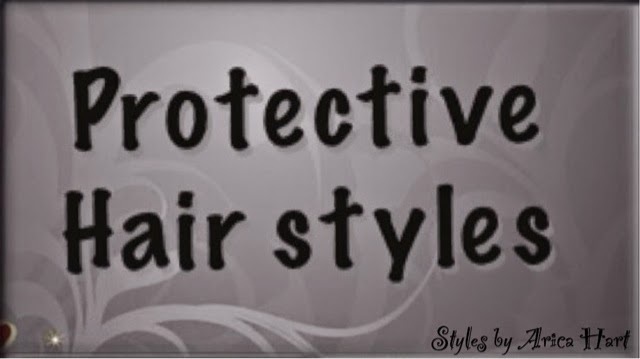 Protective styles are worn to protect pre-existing hair. 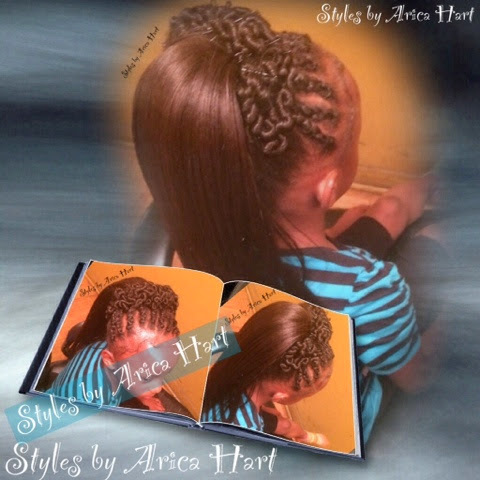 Long or short hair, there's a protective style for everyone. If you've been looking for that natural look & an easy to manage hair style, then look no father, a protective hair style might be just what you looking for. 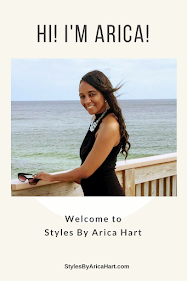 Grace the town with elegance and confidence with a customized hair styles by Arica Hart. BAM !!!!!! This little princesses is wearing a protective style on her natural tresses.. She is ready to sport this mohawk for school & other daily activities. It can be worn on relaxed or natural hair. Stop the traffic & let this doll baby through. 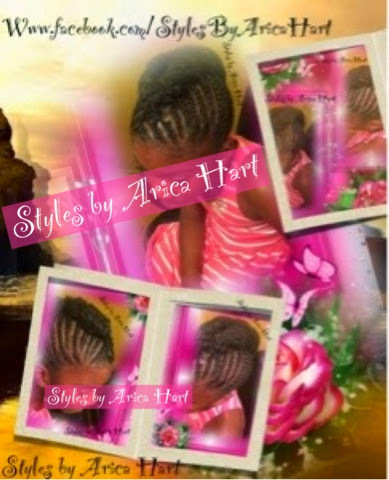 Hold up, wait a minute, this little princesses is rocking a protective style on her natural tresses also... She can be ready for school & other after school activities at the drop of a hat, but she surely wouldn't need a hat while rocking this braided hair style. It can be done on relaxed or natural hair.